Daily Dose: Daniel Ellsworth & The Great Lakes, "Paralyzed"
The forthcoming EP from Nashville-based synth-rock band Daniel Ellsworth & The Great Lakes is called Chapter One. Standing alone, it seems out of place, for the group already has two full-length albums and a companion EP to its long, but laden-with-person-meaning name. 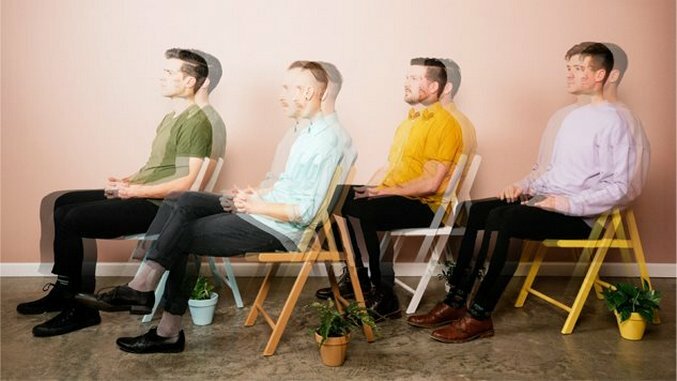 But, Daniel Ellsworth & The Great Lakes just announced that they’ll be releasing their new album in three parts—Chapter One due Jan. 19, 2018, Chapter Two in spring 2018 and the full album called Fashion in fall 2018. Taken in context, then, Chapter One is the obvious place to start. Read about the journey of the title Fashion from Paste’s chat with the band in 2014. The band’s latest single, “Paralyzed,” starts off like an ‘80s stadium anthem. Frontman/keyboardist Daniel Ellsworth’s anti-gravity synths and drummer Joel Wren’s enormous-sounding percussion help build and inflate the track. But as soon as the chorus hits, “Paralyzed” becomes instantly, urgently current. Check out the video, created with director Casey Pierce (and featuring footage from the recent solar eclipse!) below. Stay tuned for Chapter One, scheduled for release on Jan. 19, 2018.